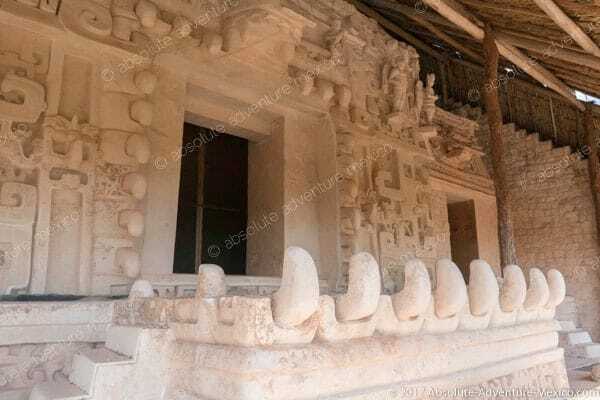 Ek Balam Private tour with swim in Cenote. Stop at Valladolid. 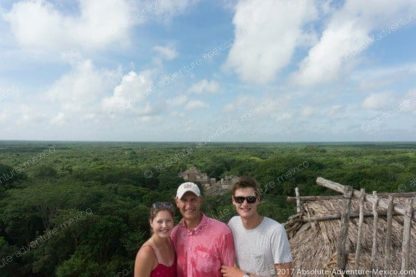 PRIVATE TOUR: Enjoy a private guided visit of Ek Balam mayan ruins, and swim at the X’Canché cenote. 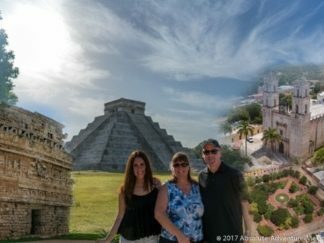 This unique private tour includes a delicious lunch at a local Mexican restaurant. We advise 5:30 summer time / 6:00 winter time from your hotel. We advise 5:30 summer time / 6:30 winter time from your hotel. We advise 6:00 summer time / 6:30 winter time from your hotel. Are you ready to experience the black jaguar? 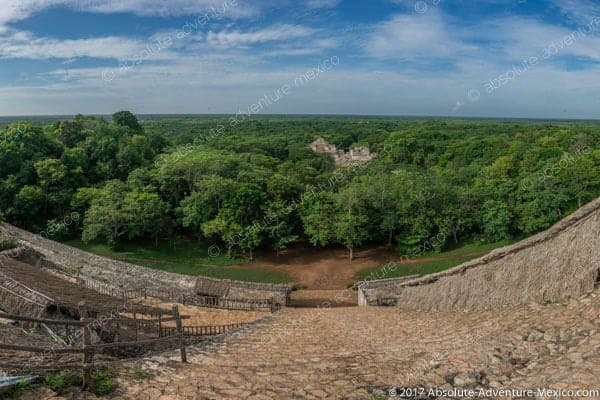 Absolute Adventure Mexico offers a once in a lifetime Ek Balam Private tour. Possessing a name that actually translates to “black jaguar,” the Ek Balam ruins combine an amazing history lesson with the opportunity to experience the Mayan culture hands-on. 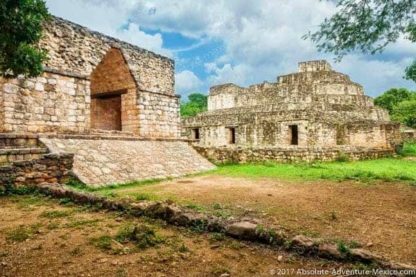 You’ll be able to climb on archeological structures that were once the center piece of play for a blooming culture. 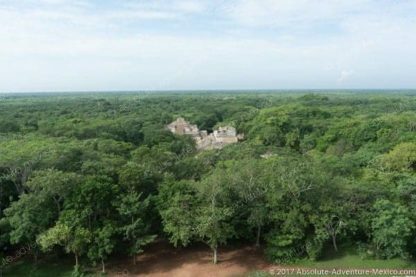 To begin our Ek Balam private tour, you will receive private, air conditioned transportation from your hotel early in the morning. While the thought of an early morning on vacation may not seem appealing, our expert guides have mapped out the perfect day to allow you to experience everything Ek Balam and the Cenote have to offer without the crowds you may expect. Some ask why we go to the expense of providing private transportation. Well, the way we see it, your time is valuable and we want you to have a memorable day. Picking up other clients is a drag, and cuts down on your vacation time. 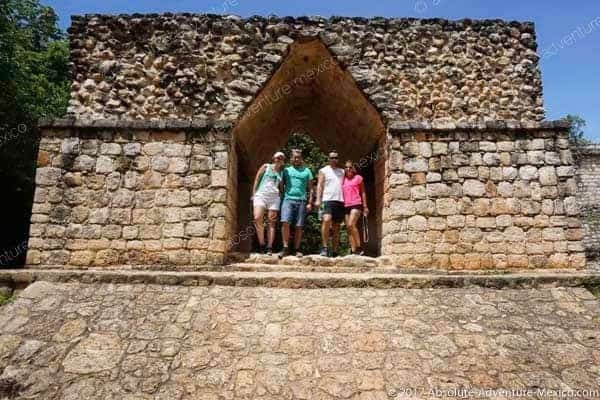 Effectively, this means that you’ll be able to enjoy the ruins without huge crowds of people there. We promise…we’ll stop along the way to grab coffee. 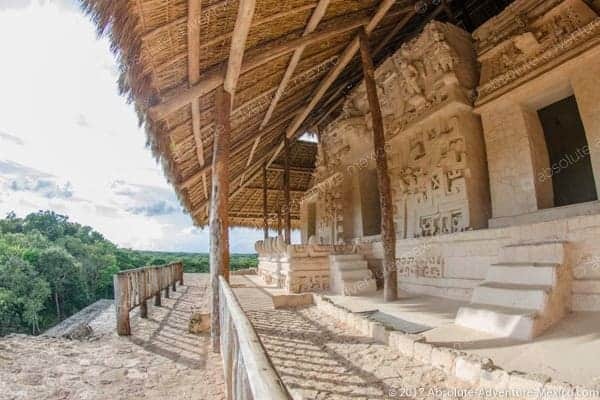 Upon arriving at Ek Balam, you’ll be greeted by your private archaeological guide who will take you through the ruins. 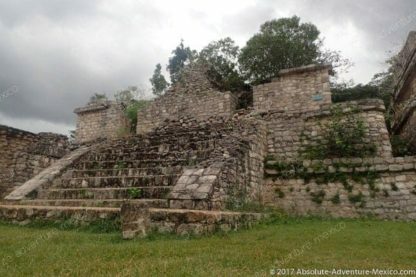 You’ll be able to climb the temples on site, as well as, The Acropolis. 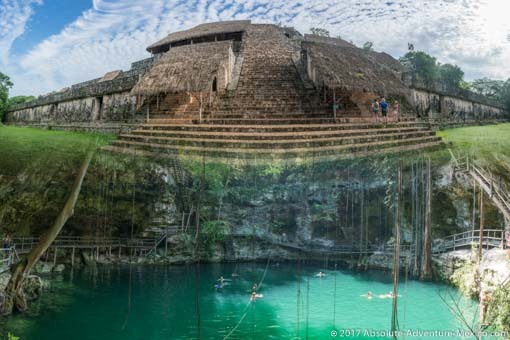 You’ll be able to see the ball courts, once the center of Mayan ceremonies for this amazing culture. 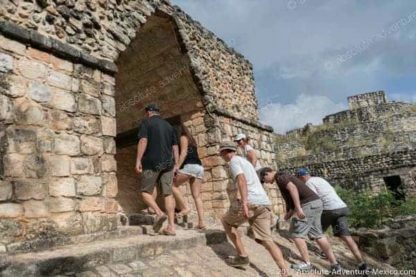 Partner all of this with the authentic carvings in the area, and we guarantee it will be an experience you will never forget! But, we don’t let the adventure stop there. 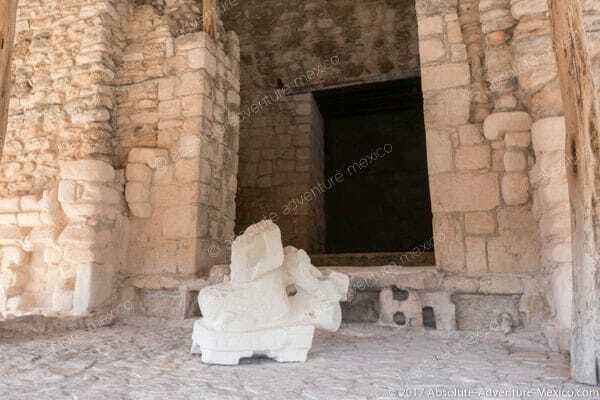 After you’ve had your fill of the ruins, you’ll take a tricycle to the cenote X’Canché. 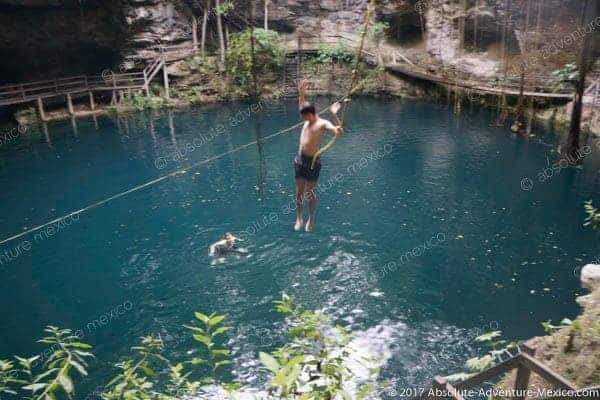 There you’ll be able to snorkel in 150ft deep water taking in all of the beautiful wildlife that encompass the cenote, as well as, the memorizing views of the Mayan jungle. Life jackets are provided. 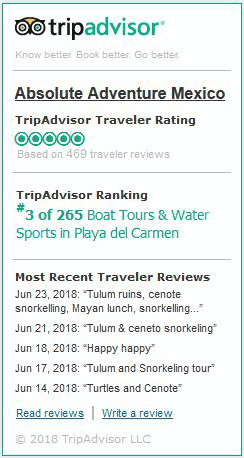 We’ll stop for a delicious lunch at a local restaurant and transport you back to your hotel. 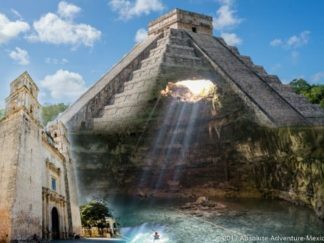 Which cenote will you visit? 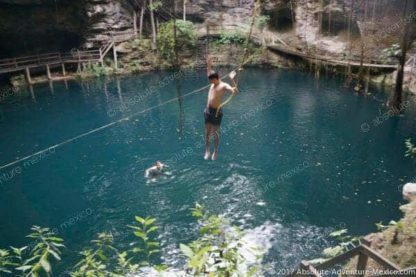 You will visit cenote X’Canché which is located near the ruins. *During summer time, pick-up at 05:30am due to time difference between Riviera Maya & Ek Balam. 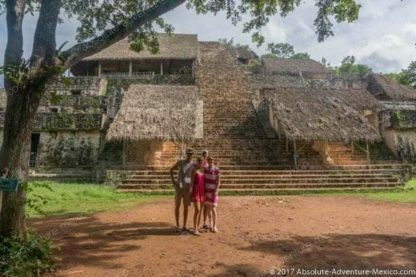 This tour company is well-run, and we felt comfortable in their nice vehicle driving 2 hours to Ek Balam. 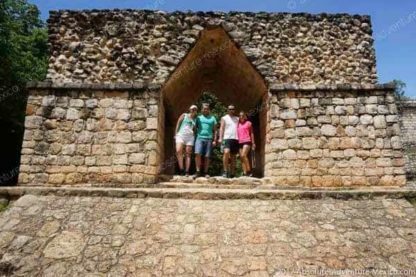 The historic site and cenote were incredible, but we also appreciated the respect that the guide showed for the location and the people. After the tour, we went to a tremendous local restaurant for a feast, which was right on time after our morning adventure. Thank you for your time and care Arturo! I will start by saying hands down the tour is worth it! I was a little hestitant at first because of the cost. However, after the day I would say I would do it again over and over again. The tour was worth every penny! Claire made the booking super easy and answered my questions though email almost immediately! They picked us up right on time and catered to us all day long. We were able to spend as much time or as little time as we wanted. 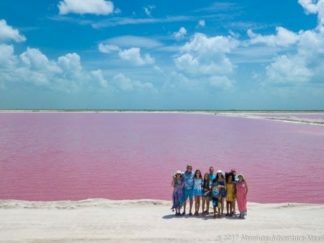 Had a great time walking around this fascinating place. We were the first ones onsite! Arturo was an excellent guide. First we visited Ek Balam with our own informative guide which was great. After, we went to lunch nearby in Valladolid. It was a small, quiet place with local Mexican food and it was delicious. Then we snorkeled in an amazing cenote. It was one of the greatest experiences ever. Absolute Adventure met all our expectations. 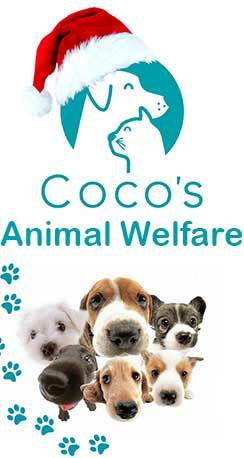 Everyone was very friendly and knowledgeable, the whole experience was incredibly simple and fun! Highly recommend this tour. The ruins are quite amazing, breathtaking really. The private guided tour was an absolute must. We did the Ek Balam and cenote tour and we couldn’t be happier! 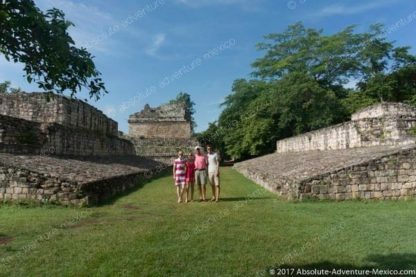 We enjoyed the ruins of Ek Balam early in the morning before other tourists. 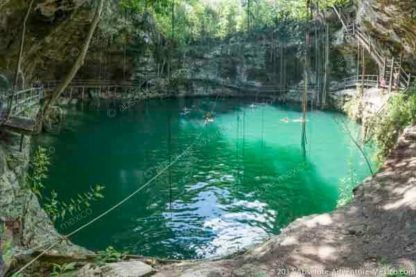 The Cenote was a blast ! Our guide Arturo was an excellent guide and was both knowledgeable and fun. 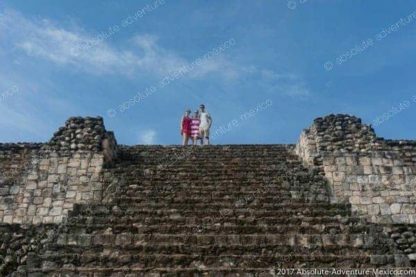 We would highly recommend Absolute Adventure to anyone in the Riviera Maya! The booking process was easy, with Claire answering my questions. We were picked up on time at the hotel lobby. Our guide was personable and informative. We were able to spend as much time as we wanted on each location. We liked the fact that we didn’t to take care of anything during the day. Thank you, the tour was totally worth it! Husband and I enjoyed our tour very much had a wonderful guide very knowledgable. Had super nice lunch in a small village.